Companionship Care and Homemaking Services for Seniors Living At Home From Health Force of Georgia. As our loved ones age, they could be facing challenges living at home alone often brings such as completing day-to-days tasks and increased risk of falling. Falling at home by the elderly is one of the leading causes of deterioration of health and losing independence. Some of the warning signs to look for: the house needs cleaning, scrapes or bruises that can’t be explained, the refrigerator is empty, disheveled personal appearance, seemingly withdrawn from family and friends, plus more. That's where companion care or homemaking services from Health Force of Georgia can help. Does Your Loved One Seem to Have Trouble Living At Home? If your senior parent, relative or friend seems to be struggling, Health Force of Georgia can help. Our in-home companion and homemaker service combines warm, human interaction with “extra help” assistance for daily-living activities so your loved one can maintain an independent and healthy lifestyle in the privacy of their residence. Companion care services begin with a FREE assessment by our licensed RN with you at your loved one's home. The professional assessment determines the level of care and number of hours needed to live comfortably and safely at home. Health Force of Georgia is there for you with a customized solution to match your elder care needs. We provide companion care starting on an hourly basis that extends all the way up to round-the-clock attention 365 days a year, including care on family vacations or outings. If you’re the primary caregiver providing companionship or homemaking chores for a loved one or friend in their home, you’re probably exhausted and in need of a much-need break. Our respite care service gets you away from the daily routine so you can restore energy and put balance back in your life. You can count on us to provide relief and support for a few hours or that well-deserved vacation. Often, it’s difficult for adult children living far away to provide daily-living support and security for a parent or grandparent who needs it. That’s why our compassionate caregivers undergo such detailed reviews before being allowed into your home: employment and criminal background checks, drug testing, reference and work experience checks, annual medical history updates, Georgia-licensing and insurance and bonding by Health Force of Georgia. 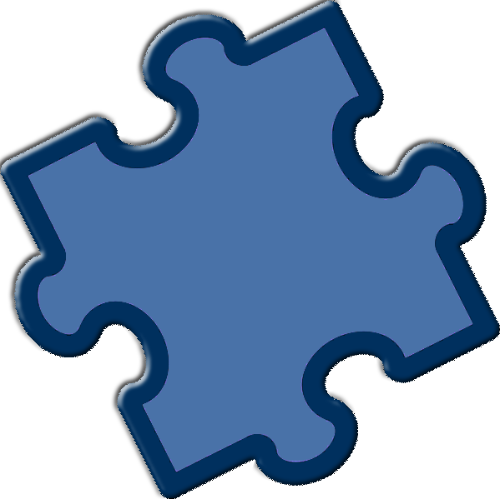 Our goal is to pair the perfect caregiver with your family member. 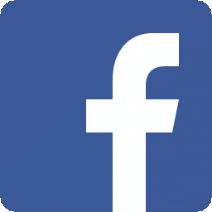 Health Force of Georgia is a locally-owned and managed company in Atlanta, not a national franchise. All conversations and decisions with the family are made locally. We’ve gained the trust and confidence of aging family members for over three decades by delivering affordable, high-quality senior care services – even becoming “extended family” when family can't be here. You can put your mind at ease knowing your loved one is safe and very-well taken care of by a friendly face and dependable hands. 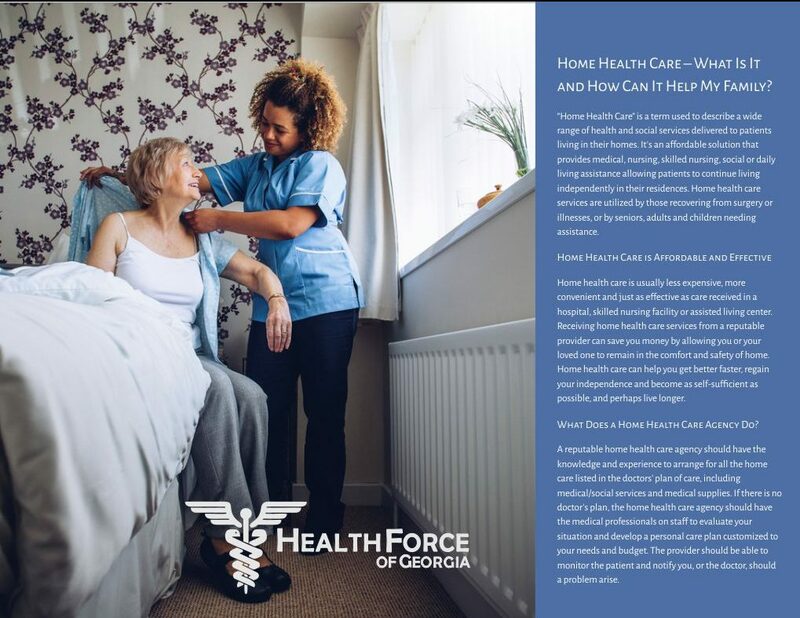 Call Health Force of Georgia at (770) 458-8500 to learn more about our companion care and homemaker services in the metro Atlanta area and 18 surrounding counties. Our knowledgeable, responsive staff is available to answer questions anytime, including after hours and weekends.